Maria Hsieh had a hunch that her family would welcome the idea of joining her on a cruise vacation. Her hunch was spot on. With plenty of other supervised activities for the kids and a chance for the adults to relax and catch up, the family was sold on future multigenerational cruises. Welcome to multigenerational cruising, a vacation that promises endless options for family members, whether the group has more 7-year-olds or 70-year-olds. In fact, so many multigenerational families are booking cruises that accommodations, such as special connecting rooms, have become regular requests, and customized packages for several generations of families traveling together are par for the course. For some cruise lines, extended families have become one of the fastest-growing segments of customers. Cruises are ideal in other ways, too. During other vacations in which families travel together, it can be tough to balance personalities, age-appropriate activities and, frankly, stamina. Not so on a cruise. There are enough food choices to serve everyone’s needs. Even picky kids will have plenty of options. With dine-around options, there’s plenty to choose from for the little ones, including casual restaurants with fun kids’ menus and others that serve burgers and fries poolside. That said, before you board, reserve a table (or tables) in the main dining room that will accommodate everyone — ideally as soon as you can. This way, on the nights you want to eat together, you’ll have a space assigned to you. Tots — and teens — will both have fun. Larger ships have spaces specifically designed for teens. With clubs specifically aimed at notoriously hard-to-please kids at different ages and stages, a toddler can have just as much fun as a teenager. You can set up a private shore excursion. If you’re traveling with a large group of family members, you can put together your own private excursion and save on cost with a group rate. The staterooms are geared toward families. 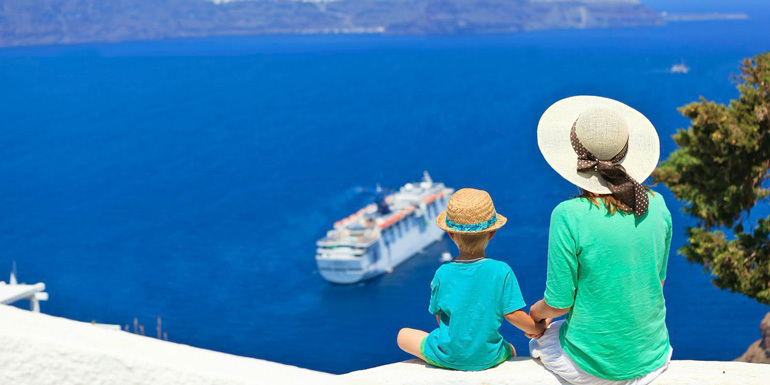 As more and more intergenerational families are traveling together, the cruise lines have taken notice and now offer a wide array of connected stateroom choices. 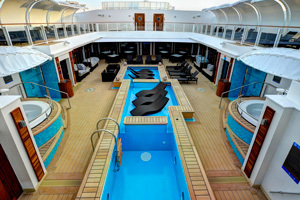 For example, on Norwegian Cruise Line, where 15 to 20 percent of guests are part of a multigenerational travel group, the ship-within-a-ship complex (the Haven), offers the ability to book luxurious staterooms that are located near Norwegian’s complimentary youth spaces — Splash Academy and Entourage — and the pool deck. At the same time, there are also studio accommodations for single family members. The entertainment will be family-friendly. Carnival's comedians do shows for both kids and adults. Because cruises target families, the entertainment follows suit. For example, a Carnival cruise promises a host of G-rated options. “We do family-friendly comedy shows each night at 7:30 p.m.,” says Vance Gulliksen, a Carnival spokesperson. “It’s appropriate for everyone in the audience.” This is in addition to the R-rated shows later that Carnival is also known for. 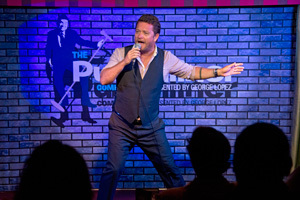 During weeklong cruises, Carnival offers up to 20 comedy shows per week with different comedians flying into different ports to keep the jokes fresh. A cruise can be educational. To keep everyone engaged, make sure your itinerary includes a shore excursion that’s focused on learning something new, recommends Margie Hand, a travel consultant in Birmingham, Alabama. You don’t have to drive home. At hometown family reunions, someone eventually has to drive home. That’s not the case on a cruise. On a ship, whether you’re heading to the deck to dance or to a bar for a wine tasting, you can all drink without worrying about who’s getting behind the wheel. WaveRunner is a registered trademark of Yamaha Motor Corp. USA. 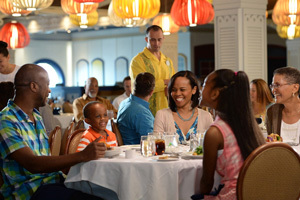 What do you look for in a cruise when traveling with multigenerational family members?